At Shred Ace, we know that Southern Pines isn’t only about golf. 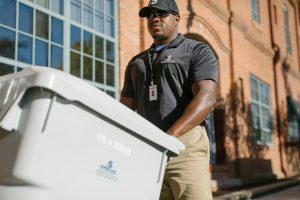 With a flourishing business and cultural scene, Southern Pines has seen tremendous growth over the past decade and Shred Ace is proud to be a trusted vendor for many businesses and organizations along the way. 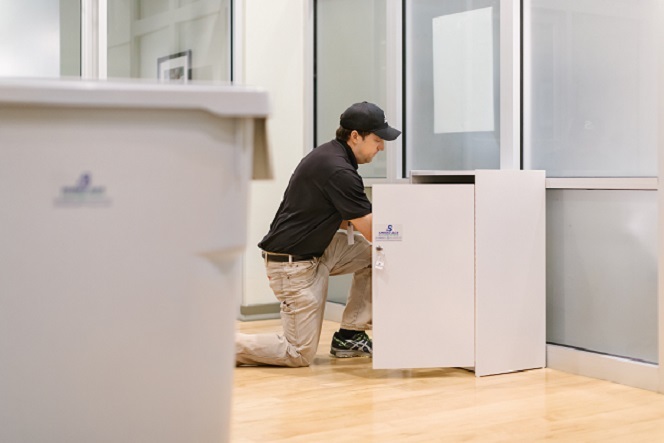 With our mobile shredding service, customers in Southern Pines know that their documents and hard drives have been shredded right there on the spot, eliminating any risk of a security breach. Many businesses and organizations in Southern Pines require a secure, reliable shredding program that takes the headache of information security out of their daily operations – that’s where Shred Ace’s office shredding program comes in. Choose one of our locked security containers to be placed in your office. Throughout day-to-day operations, employees can deposit their confidential documents into our containers to be securely stored until the next shredding date, On a scheduled basis, our shredding truck arrives and our technician shreds the contents of the containers right on the truck, at your location. Have confidential material that you have to witness being destroyed? No problem, watch us shred it right on our truck. Once the shredding is completed, we will issue a Certificate of Destruction and an Invoice. You can rest easy that our truck has driven away with all unrecognizable shreds, no documents intact. And 100% of shredded material is recycled, benefiting the environment along with your information security. Shred Ace also provides on-site hard drive shredding and off-site hard drive shredding in Southern Pines, whichever solution works best for you. Need to witness the hard drive shredding as it occurs? Then our NAID AAA Certified on-site shredding service is is the only choice. If you don’t need to watch the shredding as it happens, then you can save some money with off-site hard drive shredding. Just give us a call or send us an email and we can discuss the options. And as with our paper shredding service, all shredded hard drives are recycled responsibly.